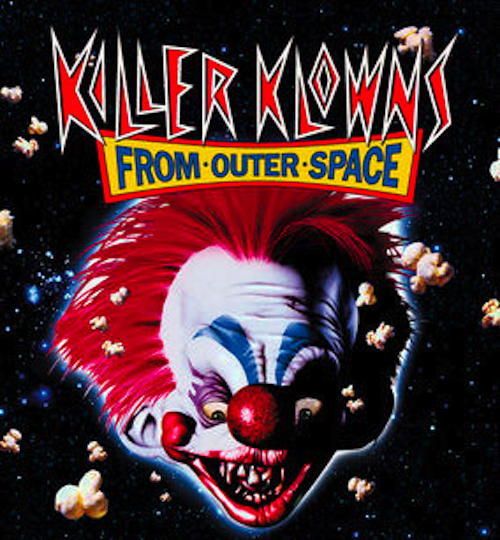 “Killer Klowns…” first opened in 1988, and featured Grant Cramer, Suzanne Snyder, John Allen Nelson, and the iconic John Vernon (Dean Wormer from “Animal House”). The plot is your basic evil aliens who look like circus clowns, invading a small town to use humans as food. The film has gained “klassic kult” status, often used as an example of a pure cult movie. The Cinepocalypse screening will celebrate its thirtieth anniversary, and will round out the week long festival. The 2018 CINEPOCALYPSE Film Festival presents its Closing Night Film, “Killer Klowns from Outer Space,” on Thursday, June 28th (8:30pm) at the Music Box Theatre, 3733 North Southport, Chicago. For more information on the fest, click here.